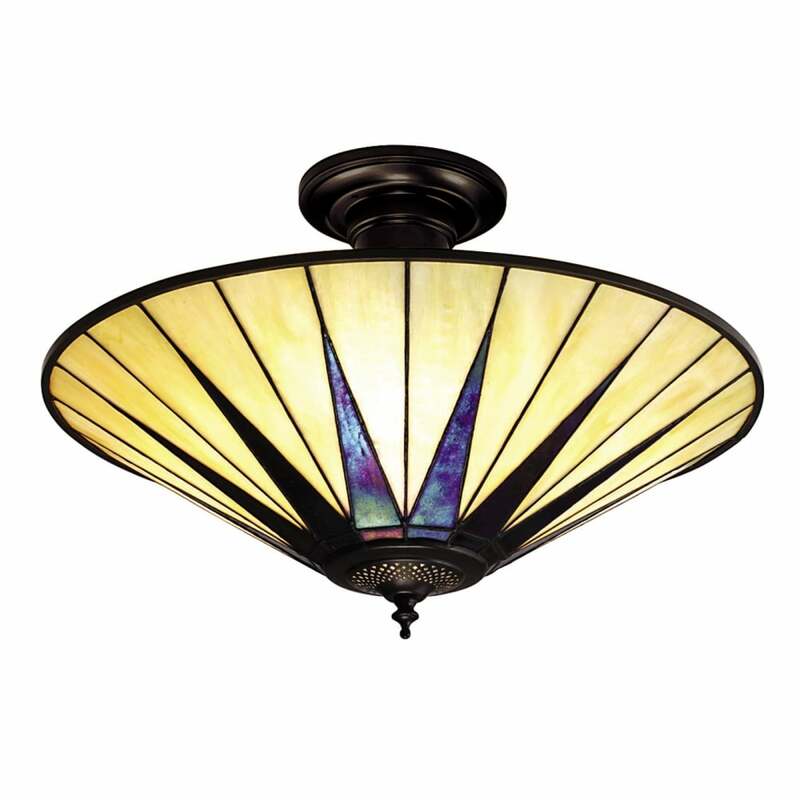 Tiffany Dark Star semi-flush uplighter ceiling light from the Art Deco collection by Interiors 1900 who are well known for their quality Tiffany lighting. An ideal Tiffany light shade for low ceilings in a symbolic Art Deco design that would work particularly well for lighting in 1920's and 1930's homes. The handmade Tiffany glass shade has a dramatic star pattern depicted in iridescent black on a background of pearly creams. Attached to the ceiling on a circular antique metal rose with a short rod suspension to support the shade which is held in place by a decorative aged brass finial. The fitting has a maximum light output of 180 watts of standard light and can accommodate low energy bulbs which will be hidden inside the shade. Uplighter ceiling lights will reflect most of their light up towards the ceiling and for this reason work best with lighter coloured ceilings which allow the light to be reflected back into the room.